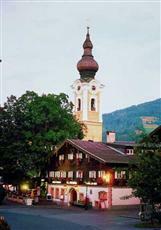 The Gasthof Markterwirt is perfectly located for both business and leisure guests to Altenmarkt im Pongau. All hotel's guestrooms have all the conveniences expected in a hotel in its class to suit guests' utmost comforts. Each guestroom features amenities such as non smoking rooms, daily newspaper, desk, hair dryer, shower, separate shower and tub, balcony/terrace, satellite/cable TV.This Altenmarkt im Pongau accommodation features on-site facilities such as bar/pub, laundry service/dry cleaning, meeting facilities, restaurant, business center, pets allowed. Leisure and sports facilities available on the hotel's property comprise massage, sauna, tennis courts, spa. Being one of the good quality hotels in Altenmarkt im Pongau, guests staying at this hotel will find its convenient location and tranquil atmosphere pleasurable. To make your reservation at the Gasthof Markterwirt via our secure online booking form, please submit your visit dates.